Stork, try the Mitchell Library website. Good news, going by this link, they are turning it in to a leisure centre. Learned to swim there as a boy and it was a Saturday morning ritual queing up to get in for a half hour slot. The 'deep end ' was just over 6 ft if I remember right. If you forgot your trunks you could hire a pair, and if the water was too cold you could sit in the hot bath in the shower room ! Great memories from the late '60's. 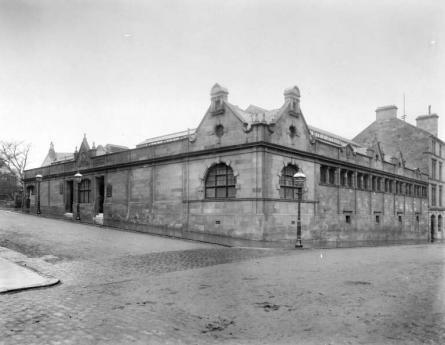 I absolutely loved the Maryhill Swimming Baths and spent loads of time there. Cameron - did you know a Margaret Dickson who was in the Neptune Swimming Club? She was a terrific swimmer. I sat my bronze life saving medal when I was at North Kelvinside school and got a free pass for a year to Maryhill Baths. Boy did I use it - I was there nearly every day. I also lost a finger nail when, getting ready to dive in, someone shut the cubicle door on my hand. I hated these wee cubicles, you never felt as if there was much privacy in them but many a happy time I spent in these baths. Also used to go for a hot bath every Friday night.